Picked the blackberries in the afternoon. 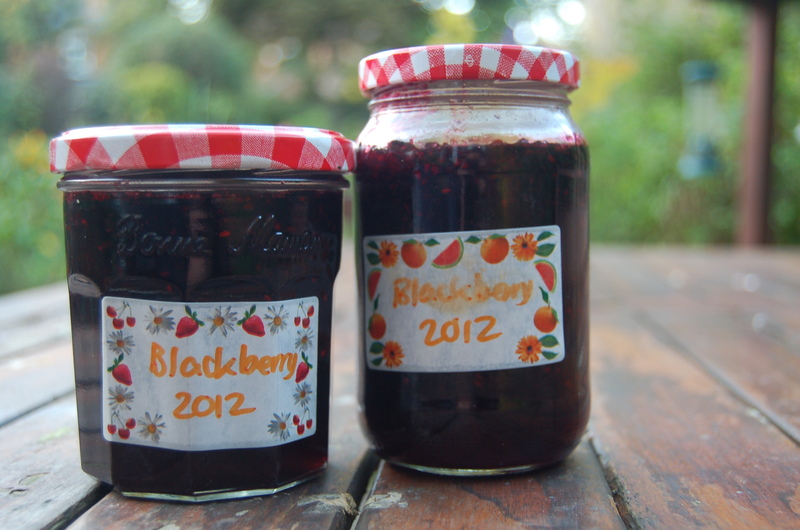 Made the jam in the evening (thanks to Nigella for that recipe). No blackberries left in Moseley now but this tasted really , really good. 29 Oct	This entry was published on October 29, 2012 at 7:17 pm. It’s filed under Uncategorized and tagged cooking, jam, nigella. Bookmark the permalink. Follow any comments here with the RSS feed for this post.